Matthew Golay was born and raised in Oshkosh, Wisconsin, a small town on the shores of Lake Winnebago. He bought his first guitar in 1987 by hocking baseball cards and delivering newspapers. By watching MTV and observing other musicians in the area he taught himself how to play. When he learned his first few chords, Matthew began writing his own songs. Songwriting had always come easy for Matthew. It grew into a kind of competition with himself, always trying to improve from his previous work. He began his musical career at the tender age of thirteen. Like most musicians Matthew began playing Punk and Metal in garage bands. In 1998 After playing for ten years and getting nowhere, he decided to go it alone and take his music by the reins, creating something fresh, innovative, and inspiring. If you ever asked him about his progression to the music he played he would say, "I think I just got bored with metal. I wasn't an angry youth anymore and I just mellowed out." Having a background in such different genres of music is what gave Matthew Golay his unique and diverse sound. Blending his melodic guitar compositions with his powerful yet soothing voice you can't help but take notice of the content of the song. Watching and listening to Matthew's performances you instantly became one with the music and the artist, which is a rare quality in today's music. 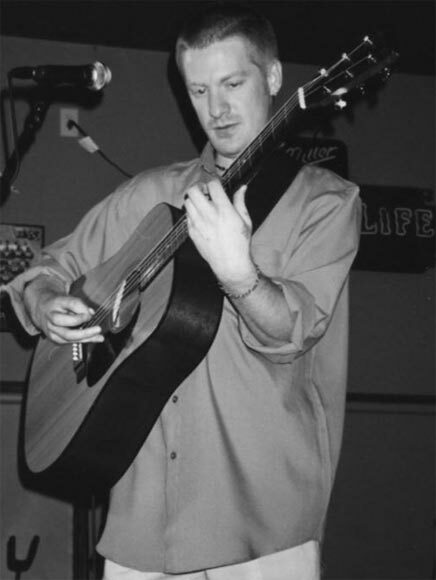 Being in the music scene for many years around the Fox Valley area (Oshkosh, Neenah/Menasha, and Appleton), Matthew played in hundreds of venues all across Wisconsin and developed a faithful following of fans. With every performance Matthew captured more and more true music lovers and devoted followers. Because of his relationships with both area venues and local artists, Matthew started TMJ Productions in 2004, which specialized in booking and promoting live entertainment. Whether musicians were looking for an exclusive manager to take on the business side of their career, needed assistance getting some gigs, or just didn't have the time to do their own promotion. Matthew had the ability to place performers well so they would be well received. Matt cared about other people's careers and was very concerned about helping others.